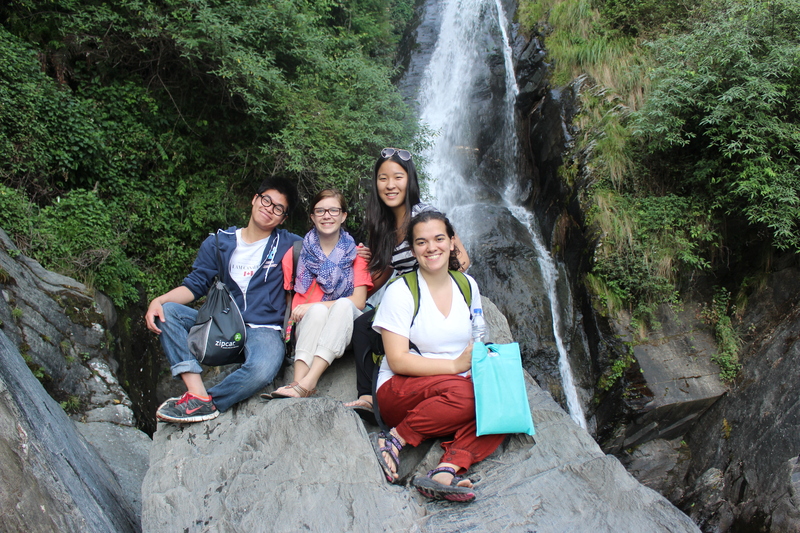 After two weeks of hard work in Yamuna Nagar, we spent this last weekend on a jam packed trip to Dharamsala, a city located high up in the Himalayas. It’s about a 7 hour drive away, so we decided to leave around 4 a.m. Friday morning, in the hopes of exploiting our time off as much as possible. Even a 7 hour drive in a car is exciting in India: we slept soundly for most of the ride, but whenever we woke up for a few minutes, we’d witness totally different scenery: in some areas completely paved highways with barriers on the sides and a divider between the two different directions, and in some areas dirt packed roads with cars and motorbikes zooming at each other full speed from both directions, along with a few cows and dogs vying for their piece of turf. 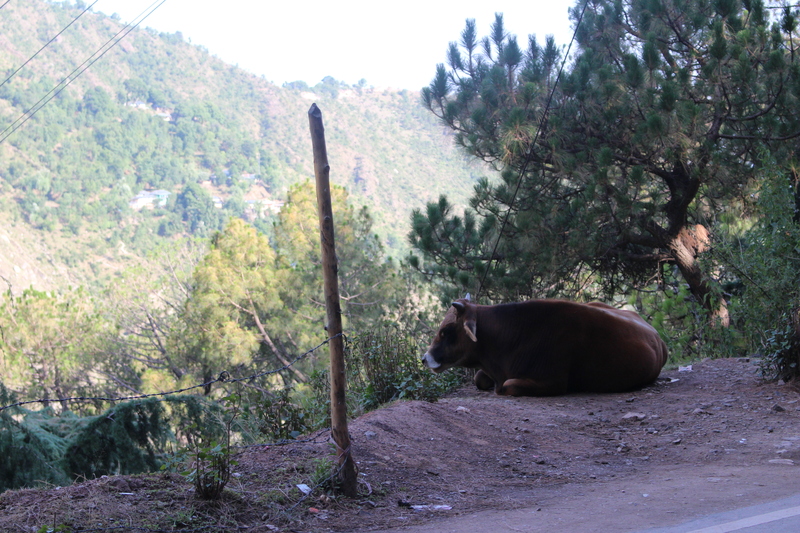 Many hours and winding mountain roads later, we reached Dharamsala eager to explore the town. (After our car climbed to our hotel on a road that sat on a 60 degree angle and we narrowly avoided swerving off the hill or crashing into a motorbike). We had no real plans, so we tried to get to the action and figure things out on the fly. 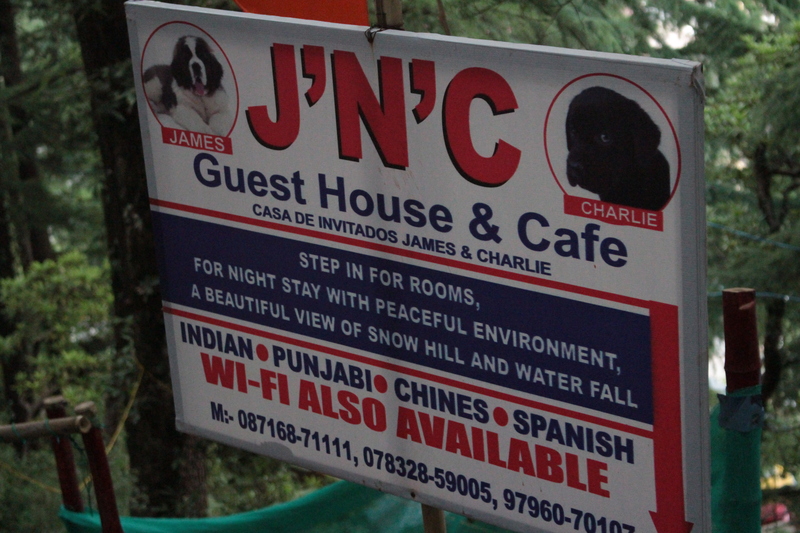 The town above Dharamsala, called Mcleod Ganj, was filled with foreign tourists – we hadn’t seen any foreigners in two weeks! 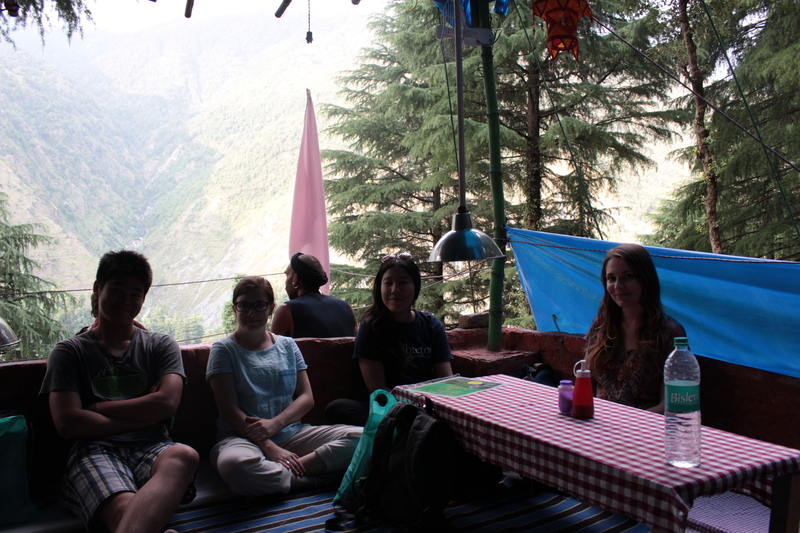 But we also met quite a few foreigners who had settled down in Dharamsala. 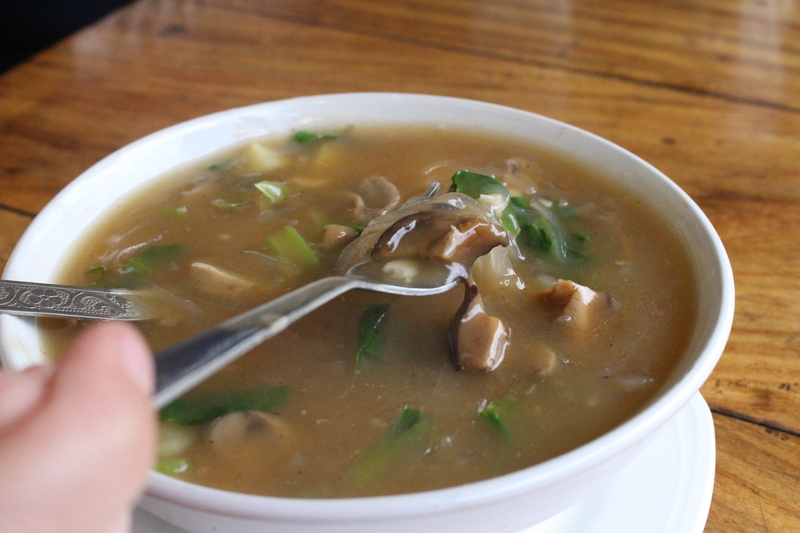 There was an American woman eating in a restaurant who was a retired school teacher. She’d met Tibetan monks on a farm in France, become interested in Buddhism, and then, once she retired, moved to Dharamsala to do political advocacy for the Tibetan government. Which brings me to my next point: Dharamsala is also the capital of the Tibetan government in exile – so we saw lots of Tibetans and Tibetan monks. 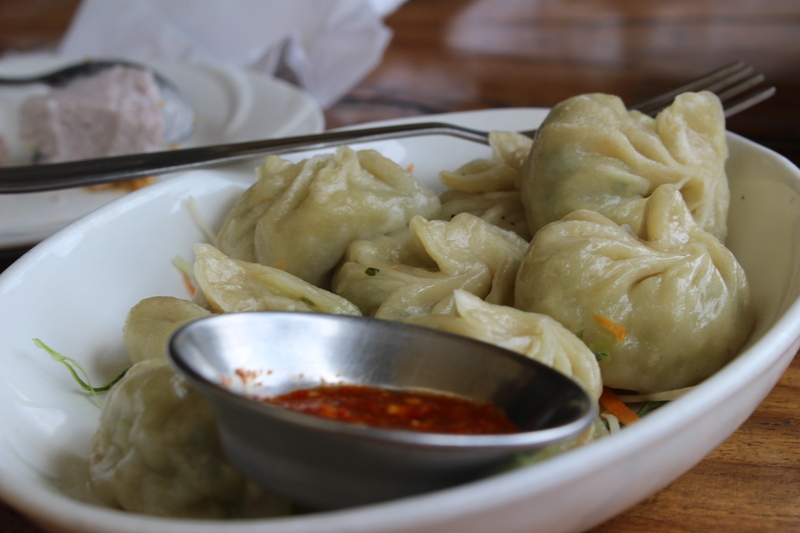 We ate plenty of Tibetan food (because we love food). 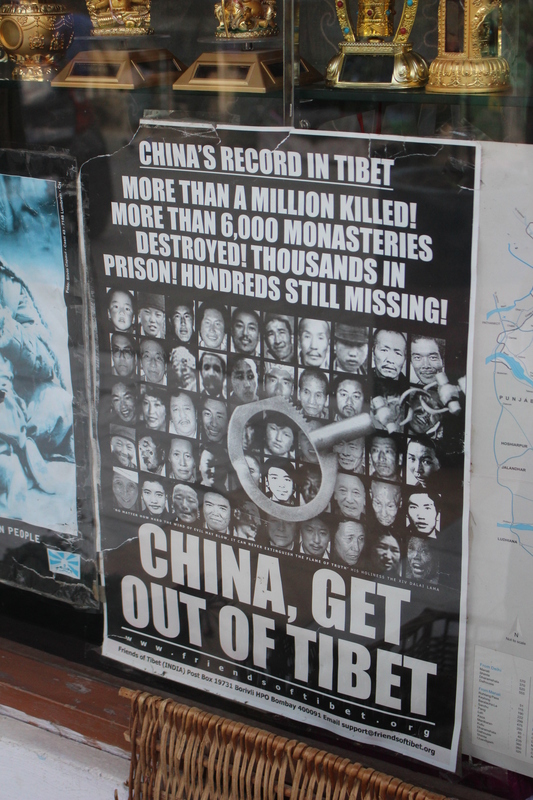 It also meant that the city was filled with political emotion: we saw lots of signs (one pictured below) about China and Tibet. We were approached by a group of local students as asking us to sign a political petition of some kind, and a woman who seemed to be American came up to us twice at different points during the weekend to ask us to sign an online petition. And so we also visited the Dalai Lama Temple. It was an incredibly peaceful and poignant place right in the middle of a noisy and hectic city. It was striking how such a relatively small and simple temple seemed to have such a powerful effect on many of the visiting worshippers. But wait – there’s more! 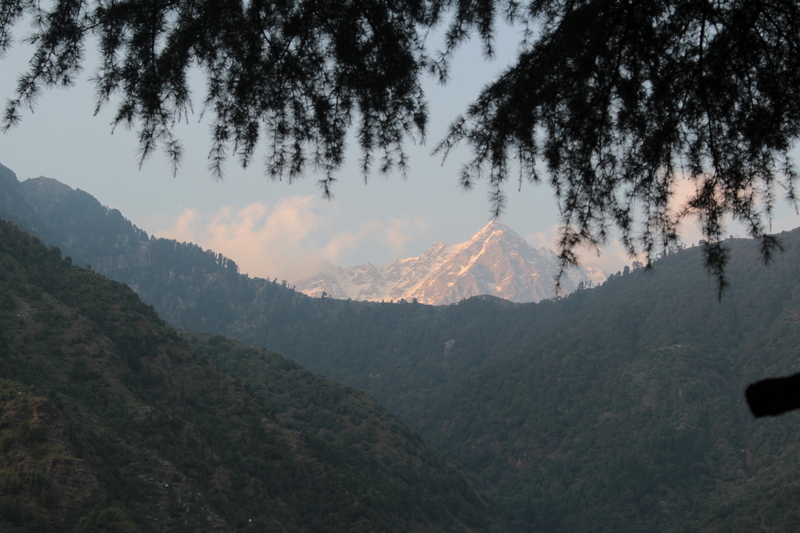 Because the city is perched high in the Himalayas, there are also incredible views everywhere! You can see some of them from our hotel room or just from the side of the market (full of Tibetan and Indian clothes, jewelry, and knickknacks to buy for all of our friends and family back home). Finally we reached a waterfall, with more amazing views. We weren’t quite sure what the sign was pointing to, but we spotted some steps going down the side of the mountain from the road, so we decided to try them out. They led us down to possibly one of my favorite places in India so far. It was a small café built into the side of the mountain. Everything was very simple, with low standing tables and pillows you could sit on, some soothing Indian music playing in the background, steaming and sweet chai, and of course some of the best views you could hope for. After our long and exhausting day, there was nothing I could have wanted more than to sit on those pillows, sip chai, and watch the immense and awe-inspiring beauty of the Himalayas. We studied the tiny buildings perched all the way up in the mountains and wondered about life up there. I felt small with wonder, yet weighed down by an incredible sense of peace. It’s funny because when we tried to explain to other people about the café, it didn’t sound that exciting. It was an experience that was hard to convey. You’ll just have to take my word for it and hike up that mountain yourself. It also reminded me that no matter how much I tried to plan our itinerary here, the best parts of India will lie hidden waiting for you when you least expect it. P.S. 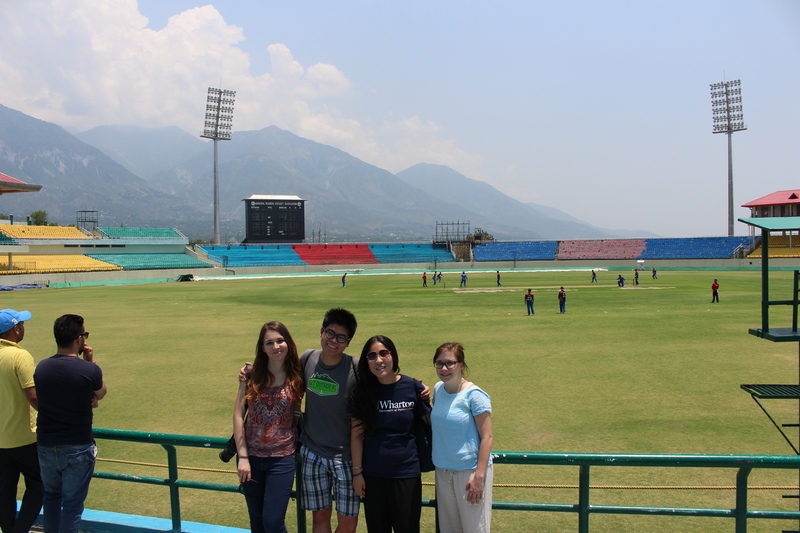 our Dharamsala adventures didn’t end there – but I’ll leave Eileen to pick it up from here! Hint: guest starring our friends from CASI Cord! !